ZOTAC's GeForce GTX 580 AMP! features a default core clock of 810 MHz, shader of 1620 MHz, and memory running at 1025 MHz (4100 MHz effective). 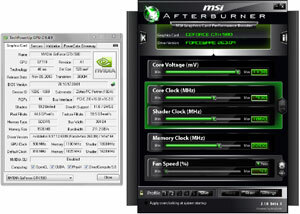 Overclocking allowed us to increase the core to 930 MHz, shader to 1860, and memory to 1100 MHz (4400 MHz effective) making use of core voltage adjustments present in MSI's Afterburner software. Please note: PhysX is disabled for consistency between results. We have compiled a list of popular and graphically challenging games which include titles utilising Microsoft's DirectX 9, 10 and 11 API's for testing today; testing in 1920x1200 and 1680x1050 resolutions that are most commonly used by gamers based on Steam's hardware survey. 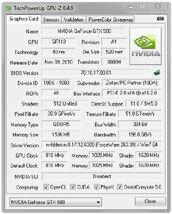 ZOTAC's GeForce GTX 580 AMP! and overclock results are highlighted in orange.